It is with immense pride and excitement that I write to inform you of the next chapter for Peregrine Semiconductor and Murata. Effective today, 17 January 2018, Peregrine will operate under a new name, pSemi Corporation. pSemi will have the same experienced leadership team, but we will have a broader scope and an expanded product portfolio. When Murata acquired Peregrine in Dec. 2014, they kept the Peregrine brand name untouched. In the last few years, Murata has asked our team to extend our reach, increase our intellectual property (IP) portfolio and grow on a global scale to support more semiconductor innovations. It is time to signify this shift and update how we represent ourselves to the market. The name change also coincides with two major milestones: our 30-year anniversary of RF-CMOS innovation and the shipment of our 4 billionth chip. From now on, you will see the pSemi brand name and logo on our company emails and at industry events. Please note that the existing Peregrine Semiconductor brand name and products will remain unaffected and will continue to be supported by the same sales teams, distributors and applications engineers. The new pSemi name and logo will be rolled out across new products. This growth strategy and name change is a huge honor that Murata has bestowed upon our team, and consequently, we look forward to promoting innovative products that support our vision to drive "Intelligent Electronics for the Connected World." We invite you to visit our new website, and learn more about our next chapter as pSemi. pSemi Corporation is a Murata company driving semiconductor integration. pSemi builds on Peregrine Semiconductor's 30-year legacy of technology advancements and strong IP portfolio but with a new mission: to enhance Murata's world-class capabilities with high-performance RF, analog, mixed-signal and optical solutions. With a strong foundation in RF integration, pSemi's product portfolio now spans power management, connected sensors, optical transceivers antenna tuning and RF frontends. These intelligent and efficient semiconductors enable advanced modules for smartphones, base stations, personal computers, electric vehicles, data centers, IoT devices and healthcare. From headquarters in San Diego and offices around the world, pSemi's team explores new ways to make electronics for the connected world smaller, thinner, faster and better. 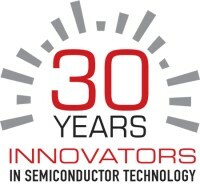 To view pSemi's semiconductor advancements or to join the pSemi team, visit www.psemi.com.